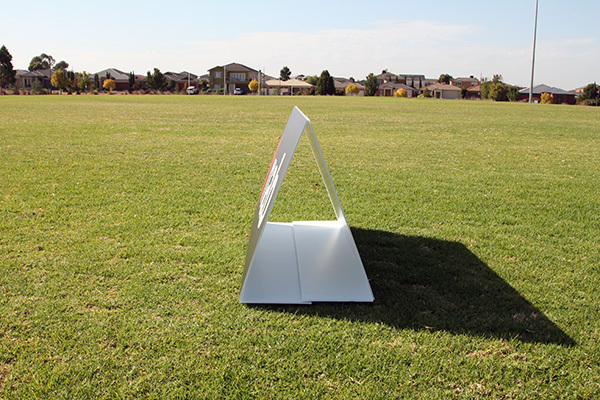 Toblerone Signs are inexpensive advertising tools for indoor and outdoor events. Triangular and able to be weighed down, these prints are very cost effective. We manufacture toblerone signs using 5mm corflute and use Velcro, so these can be open and closed time and time again. We offer toblerone signs in set sizes so see our artwork specs for the templates to create your artwork in. 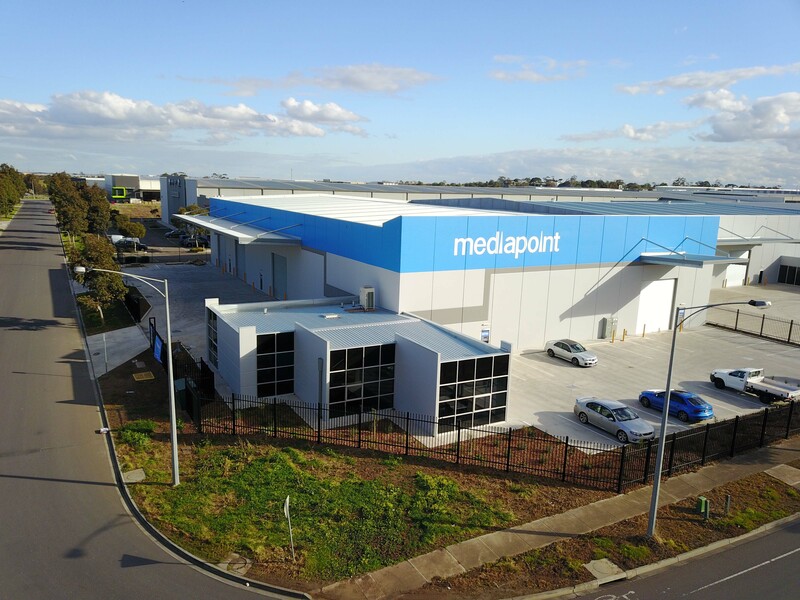 The difference with Mediapoint is we offer up to a 2400mm wide face. 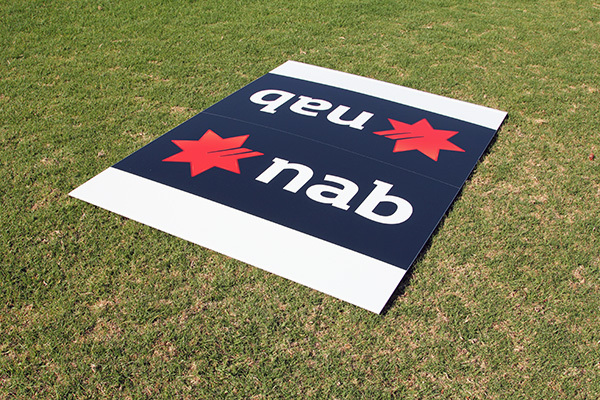 Please see the link below to get pricing on toblerone signs for your customers. For more information on this product see the tabs below. What Sized Faces Do They Come In? 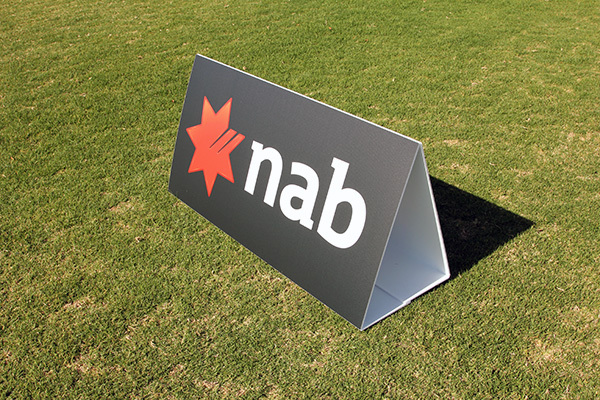 We offer Toblerone Signs in face sizes of 2400mm x 400mm, 1800mm x 400mm & 1200mm x 600mm. See the Product Specification for the templates to setup your artwork on. Toblerone signs have 2 visible faces. You can setup your artwork to have different artwork both sides. Please go to the Product Specification tab to get the templates to create these on. How Do You Fold The Corflute? We print on a 5mm corflute so we actually do a face slit to be able to fold the corflute. We only use a 5mm corflute over a 3mm stock as we find it is stronger. Do You Ship Toblerone Signs? Yes we ship this product Australia wide. Use our portal with your address to obtain a shipping quote.